・We will be closed at 3rd, 10th, 18th, and 25th, September 2018. ・We will be closed at 1st, 9th, 15th, 22th, and 29th, October 2018. ・We will be closed at November 6th, 13th, 20th, and 27th, 2017. ・We will be closed at December 4th, 11th, 18th, 25th, and 29th～January 3rd. 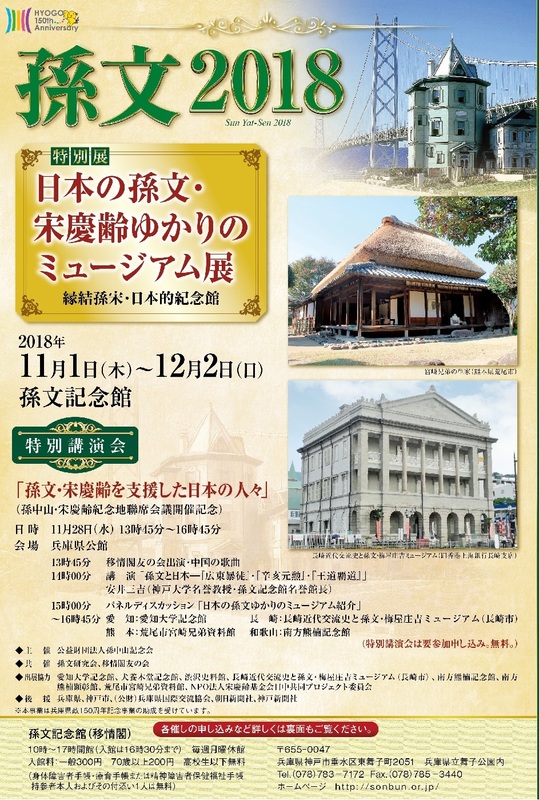 ・Sun Yat-sen Memorial Hall will hold “The Sun Yat-sen Month, 2017”. 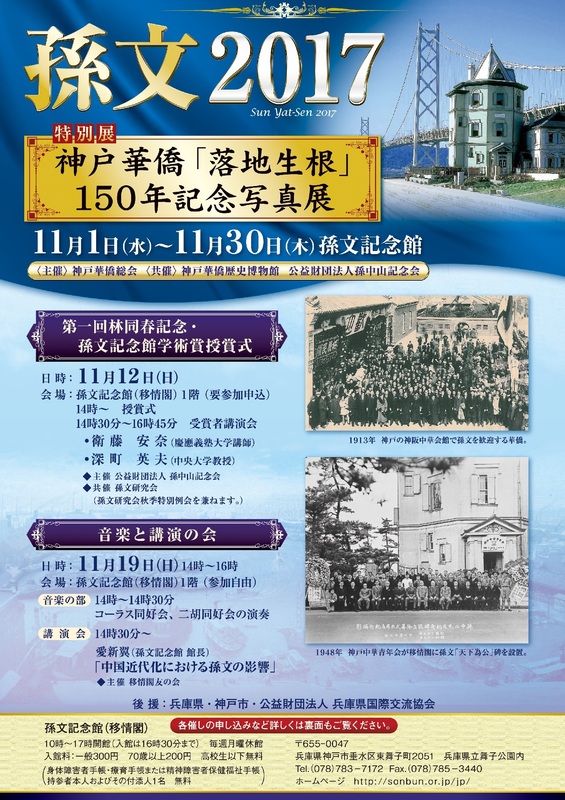 We will have Special Exhibition “ The 150th Anniversary Exhibition of Kobe Overseas Chinese ” (NOV 1st~NOV 30th). For more information, please see the following flyer. ・We will be closed at 4th, 11th, 19th, and 25th, September 2017. ・We will be closed at 2nd, 10th, 16th, 23th, and 30th, October 2017.